A mother and her 1yr-old were crossing the street and were struck by a hit & run driver. The mom was crossing on east 102nd St when a speeding Green Honda came around the corner from San Pedro St striking her and crashing into a parked car. The mom fell back into the street throwing/dropping the child. The child was not struck by the car only thrown during the hit. 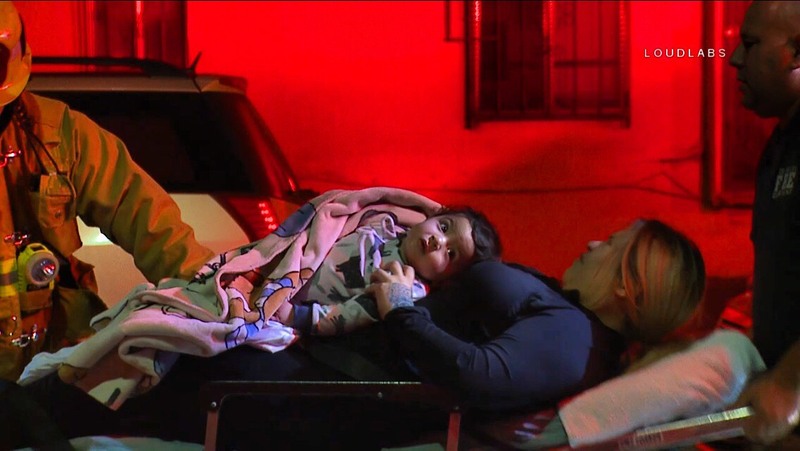 The father took the child in the house and brought her back out when LAFD arrived. Both mom & child were transported by LAFD ambulance to a local hospital in non-life threatening conditions. Witnesses say a large male was seen exiting the Honda a leaving the scene on foot.